Prime Minister Hun Sen said on Monday he had urged Philippine President Rodrigo Duterte to invest more heavily in Cambodia’s rice sector, while also acknowledging the need to lower rice processing costs and find new export markets to boost the competitiveness of Cambodia’s most important crop. 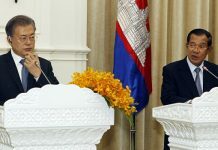 “I suggested to the president of the Philippines to invest in 100 percent of the purchase, harvest and processing [of rice] for export directly to the Philippine market by Filipino investors,” Mr. Hun Sen said during his closing remarks at the second and final day of an annual Agriculture Ministry meeting in Phnom Penh. Prime Minister Hun Sen speaks at the final day of an annual Agriculture Ministry meeting at the Peace Palace in Phnom Penh on Monday, in a photograph posted to his Facebook page. Remarks by the prime minister and Agriculture Minister Veng Sakhon focused on the ways the government was seeking to help rice farmers, who were hit hard by a sudden plunge in global rice prices in August and September. The price drop and subsequent protests by some farmers led Mr. Hun Sen to inject $27 million into the industry. 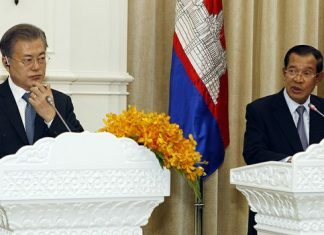 He also urged rich Cambodians and government officials to buy rice from struggling farmers. His remarks to Mr. Duterte came during the Philippine leader’s visit to Cambodia in December. “Previously, the price of paddy rice dropped dramatically, making farmers unhappy. 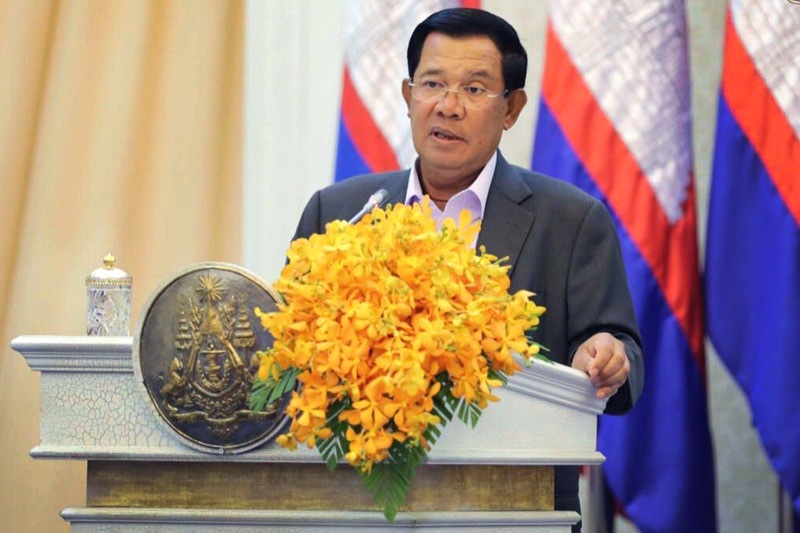 But it’s not just in Cambodia,” Mr. Hun Sen said, noting that Thailand was also struggling. Reuters reported in August that former Thai Prime Minister Yingluck Shinawatra faced charges of criminal negligence over her government’s rice subsidy scheme, which the military junta that ousted her claims cost the state more than $8 billion. 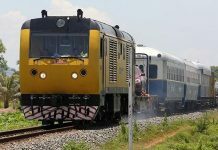 Cambodia still has access to the E.U. market, the premier said, adding that the country’s production of fragrant rice and its relative lack of pesticides made it an attractive exporter for the European bloc. “So I request our farmers to produce good rice seeds and to not use any toxins or poisonous substances that can cause damage and loss of market [access],” Mr. Hun Sen said. Mr. Sakhon, the agriculture minister, said the country’s rice exports grew 0.7 percent last year over the year before. Cambodia’s agriculture sector grew at a brisk 5.8 percent annually from 2003 to 2013, according to the World Bank, but the country has struggled in recent years and has averaged less than 1 percent growth since 2013.